The following egg casserole recipe can be changed a bit by adding whatever breakfast meat you'd like, try bacon, sausage or ham. You can also substitute the vegetables in this breakfast egg casserole with something else or leave out all together. I like to add pureed vegetables or shredded zucchini in with the egg mixture. We have two recipes included here that are similar, both make great breakfast meals. One recipe uses bread the other uses hash brown potatoes. The egg casseroles freeze well or they can be made ahead of time and stored in the fridge. In a casserole dish layer potatoes on the bottom of the pan. Sprinkle cheese on top of potatoes. Add breakfast meat on top. I used cooked turkey bacon in the picture above. Mix eggs, milk and vegetables together in a bowl. Season with salt and pepper. Pour over top of potatoes and bake at 350 degrees about 45 minutes or until center is firm. Spray a casserole dish with cooking spray. Tear bread slices into pieces and place in bottom of casserole dish. Cook breakfast meat you would like to use and sprinkle on top of bread. Add chopped spinach or grated zucchini, if desired. In a mixing bowl blend together eggs, milk and cheese. Season with salt and pepper. Stir in green onions. Pour over top of bread mixture. Wrap with tin foil and place in the fridge overnight or through the day until ready to bake. Bake at 400 degrees for 35-40 minutes or until eggs are set. You can test the eggs by inserting a knife in the middle and if it comes out clean the eggs are set. Beat eggs and add milk together. In a separate, bowl add flour, baking powder and salt. Stir and then add to egg mixture. Beat until smooth. Stir in bacon, ham and cheese. Pour into sprayed or greased 13x9 pan. Bake at 450 degrees for 20-25 minutes. Cool for 10 minutes. To serve cut into squares or bite size pieces. To make more of a "loaf", pour into a greased loaf pan and cook until eggs are set. Cut into slices. **To prepare ahead of time...Cover with tin foil and store in refrigerator overnight. Take out of fridge in the morning and bake. 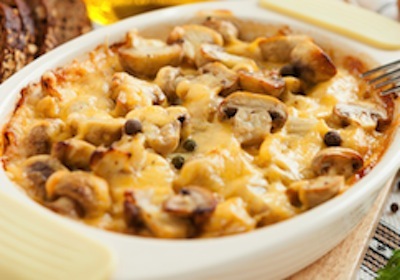 A fun variation on an egg casserole recipe. 2. roll out crescent rolls and fill each one with cheese, egg and ham. 3. cook for however long the crescent roll package says plus 3 minutes. 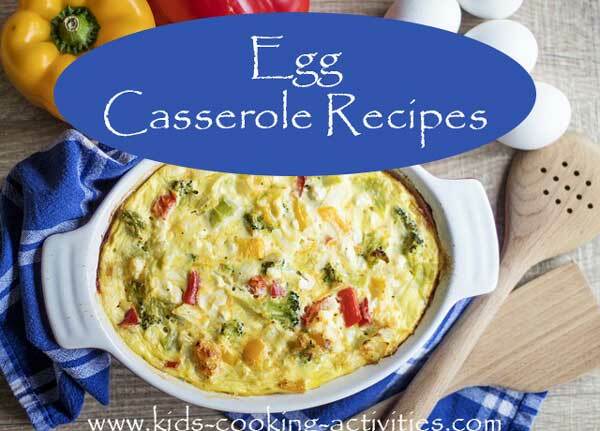 Share your egg casserole recipe!